Keep your system in top shape with our planned service agreement. J & J Mechanical, Inc. has provided heating, ventilation, and air conditioning (HVAC) services for customers in eastern North Carolina since 1988. Whether you need urgent repairs or would like to explore the possibility of installing a new air conditioning or heating system in Greenville, Kinston or New Bern, J & J Mechanical, Inc. can help. 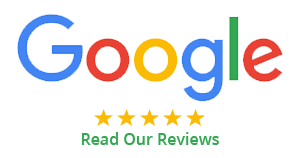 We are a full-service heating, ventilation, and air conditioning (HVAC) company with technicians who are NATE (North American Technician Excellence) certified — the highest recognition an HVAC tech can receive. If you require air conditioning repair or service, we are just a phone call away. If you are concerned about indoor air quality and want to have your home or office evaluated, we can perform an analysis and provide solutions for improvement. We are licensed, insured, and bonded HVAC contractors providing residential and commercial air conditioning services in your community. We do more than just install and repair HVAC components. We look at your indoor environment and recommend products that best suit comfort requirements for you and your family. If your building has high humidity, we can recommend products that remove excess moisture and eliminate mold growth. If someone in your family has allergies or asthma, we can recommend whole-house and room air purifiers and filters that remove airborne particulates, mold, and bacteria. If you have a hard-to-heat space in your home or are considering an addition, we will work with you to find solutions that are cost-effective, energy-efficient, and provide the indoor comfort you want. We offer specials and seasonal rebates throughout the year for new installations. Customer service and satisfaction are our number one priority. To best serve you, we schedule routine service calls during our regular business hours. For those emergencies that can’t wait, technicians are available 24 hours a day, seven days a week. You can schedule regular service and non-emergency repairs Monday-Friday between 8 a.m. and 5 p.m.
We adhere to industry best practices, one of many requirements that must be met to earn the prestigious designation of Bryant Factory Authorized Dealer. Customer satisfaction is guaranteed. We promise to deliver service with pride and integrity, so if you are not satisfied, we will work with you to fix the problem. Our trucks are stocked with factory-authorized parts. We honor all Bryant warranties on products and labor. Technicians receive ongoing training at Bryant factories so that they are up-to-date with the newest technology and products.